Daily Labor - Same Day Pay! GREAT PAY!! DAILY PAY!! GO TO WORK TODAY!! Are you looking for full-time employment, an extra part-time job, or in need of a temporary assignment to catch up on bills? Do you have occasional days free that you would like to pick up work? 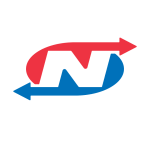 Apply now at Nationwide Temporaries and get working today!